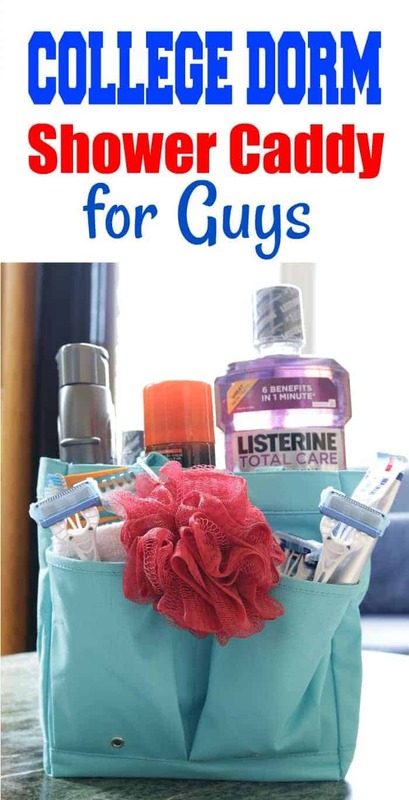 How to put together a shower dorm caddy for a guy. 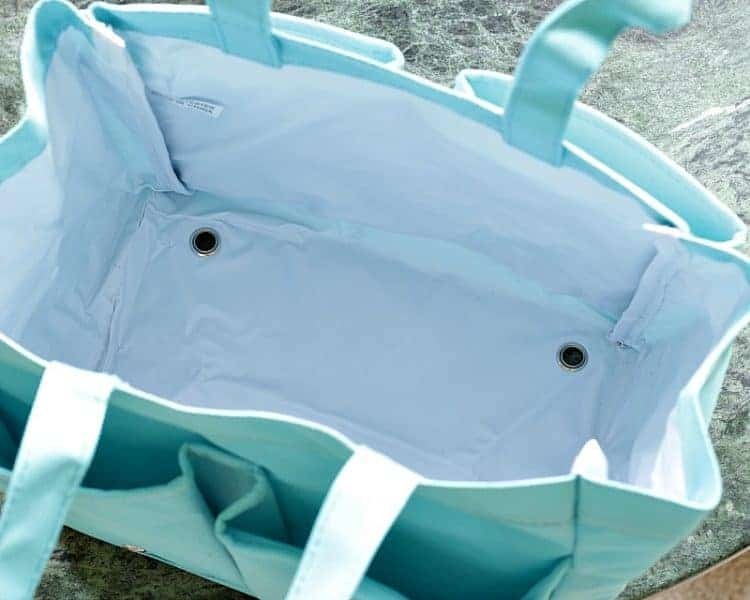 Easy and practical! 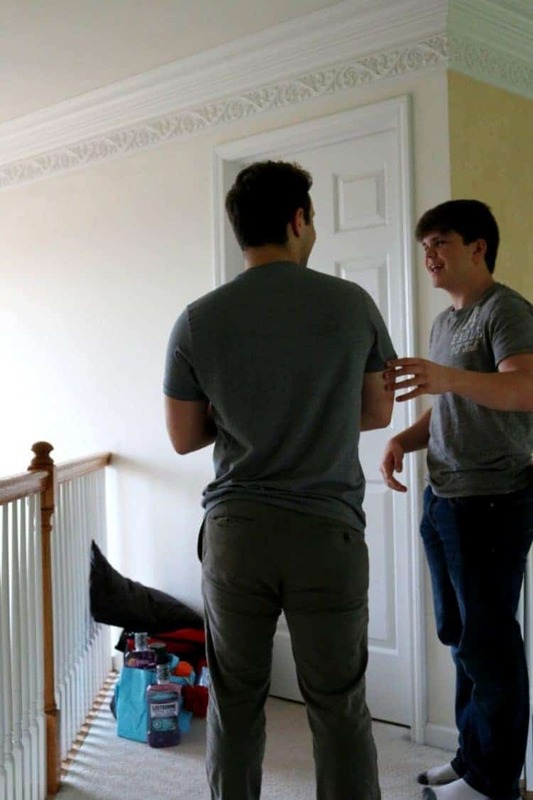 My middle son is 18. It’s that age, the age when he acts like he knows everything, but actually feels a bit insecure. My goal as a mother is to gently guide him with information that will boost his confidence and help him to feel like he can take on the world. Confidence is so important at this age as our young adults move to the next step. 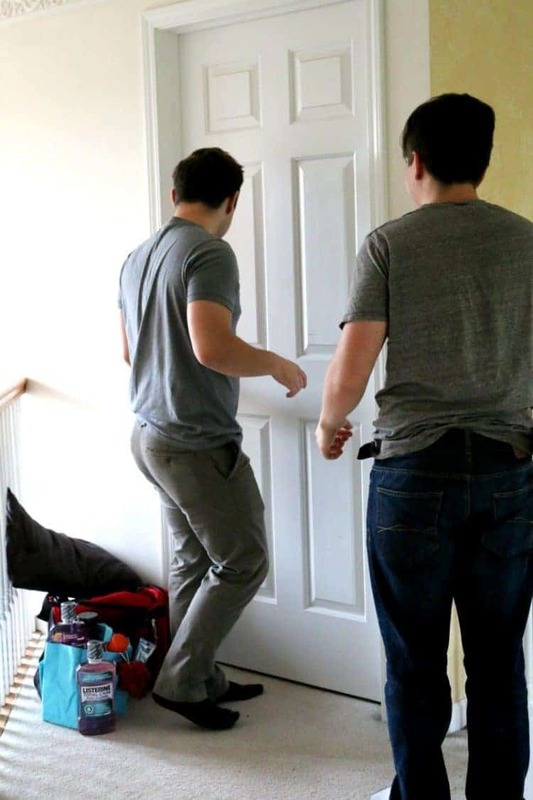 For many of them this involves college and leaving home where they’ll be meeting new people….. Encouraging your son to take care of his hygiene is an easy, yet very effective way, to keep him feeling great while building up his confidence. 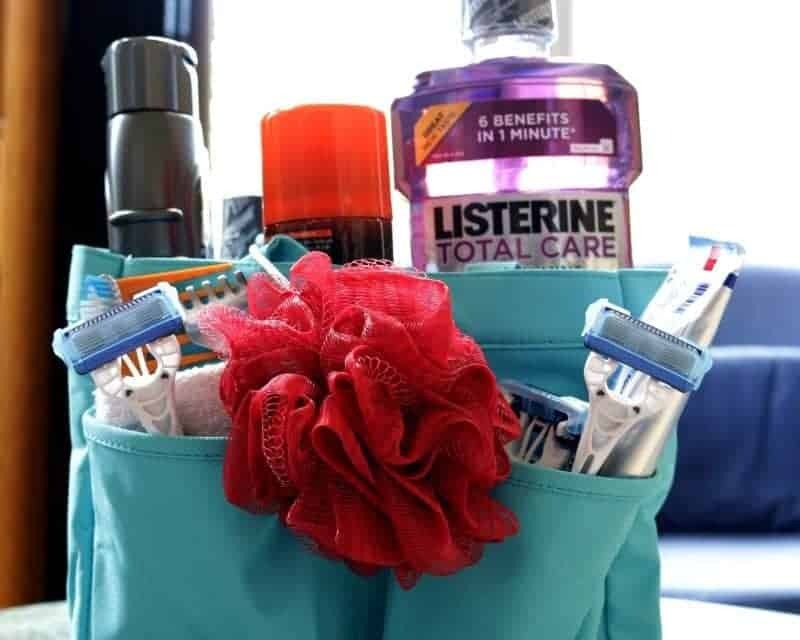 If your son will be heading off this fall one of the many things you’ll need to pull together for him is a shower caddy. 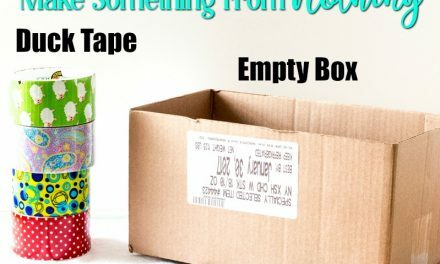 This one is super easy to put together with just a few basic products. 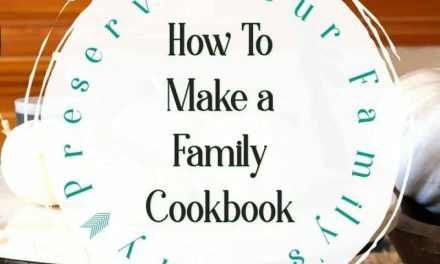 Back Scratcher – really, this is an essential especially when they don’t have their younger siblings around to do it for them! 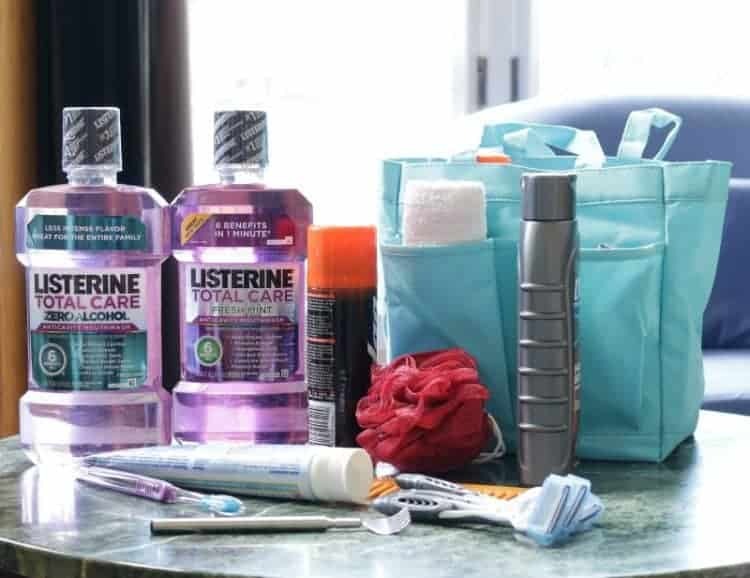 I went shopping for these goodies at Target and chose LISTERINE® TOTAL CARE because most teen boys aren’t into taking too many steps when it comes to hygiene and that’s where LISTERINE® TOTAL CARE comes in to save the day. 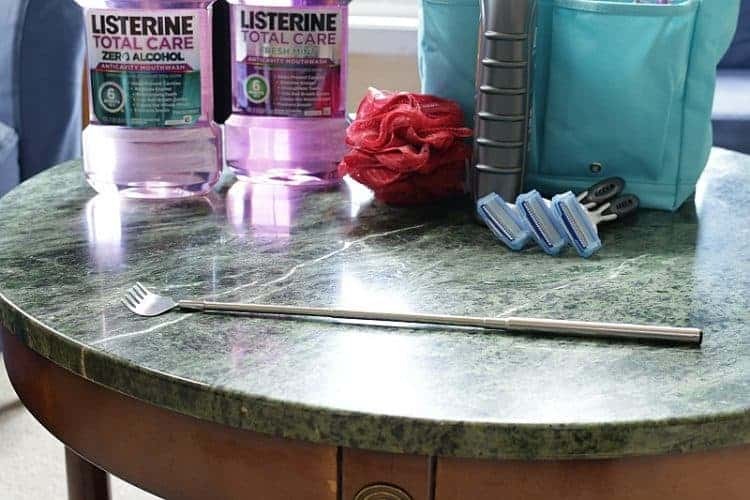 Six benefits in one bottle including up to 7x greater fluoride uptake than ACT® mouthwash brand for strong teeth*, it helps prevent cavities which keeps both my son and me happy, restores minerals to enamel, kills bad breath germs, cleans the whole mouth, and freshens breath. You really couldn’t ask for anything more! 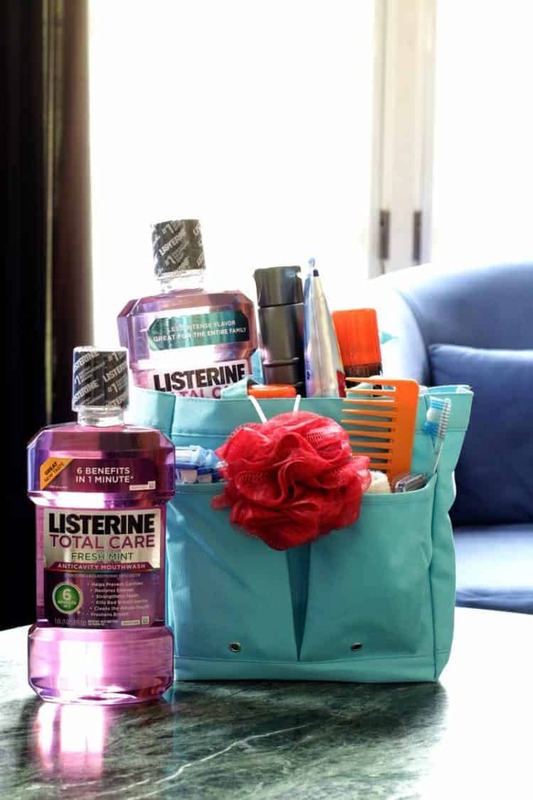 As a mom, I like knowing that with LISTERINE® my son will have fresh breath and a healthy, clean mouth and it’s the perfect solution for teens who want “easy” and their mom’s who want something that works. 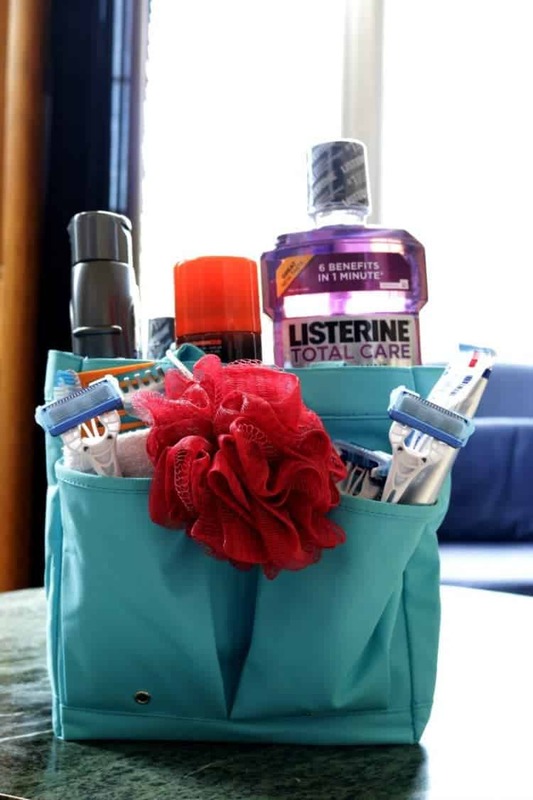 Here’s a wonderful way to keep your son’s breath fresh all school year long. 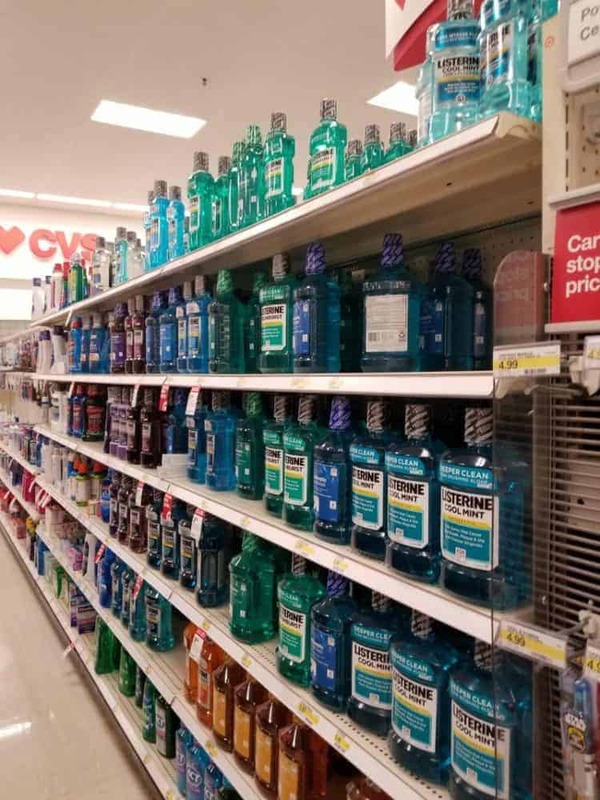 Right now, buy 3 LISTERINE® TOTAL CARE FRESH MINT Anticavity Mouthwash 1L and/or LISTERINE® TOTAL CARE ZERO ALCOHOL FRESH MINT Anticavity Mouthwash 1L combos (mix and match), and get a $5 Target Gift Card. The offer is good (6/29-9/9) and will be valid online and in-store. 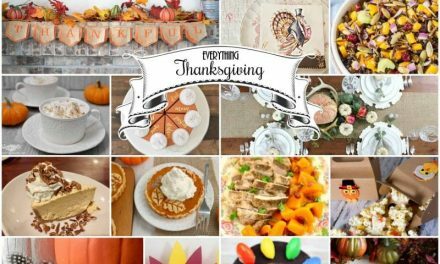 You can click the image above to buy it right now! 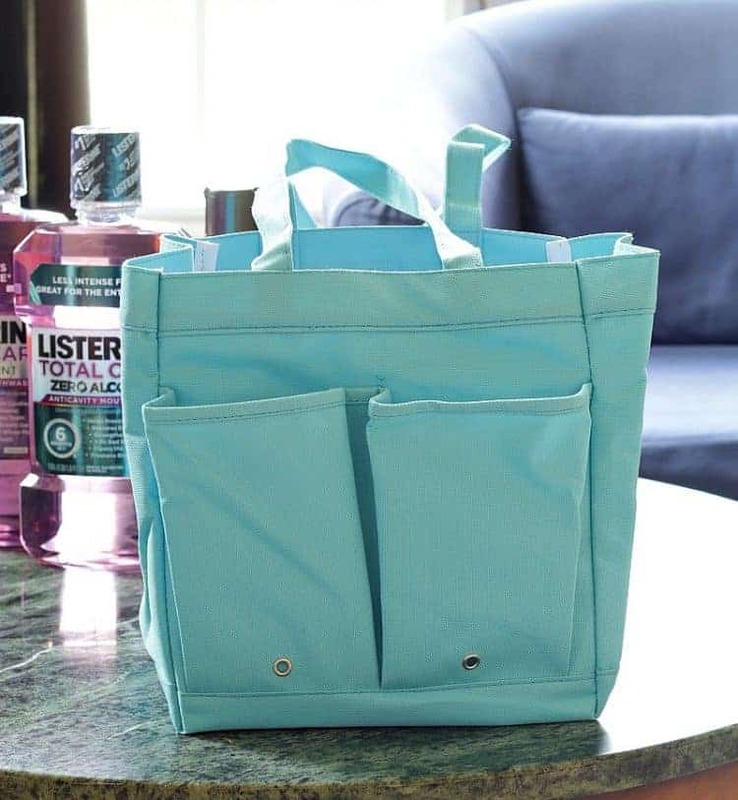 What are your shower caddy essentials?